The aim of this lecture is to present on Effects of Vietnam War. The Vietnam War caused the breakdown of many families and also a breakdown of the Vietnamese culture. Thousands upon thousands of children were orphaned during the war and ended up either in orphanages or on the streets without a home. 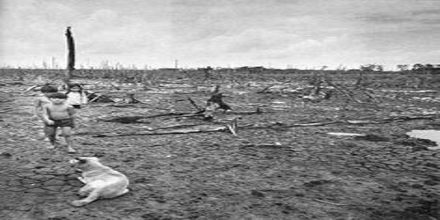 Napalm was used and it caused a mass number of damage to the plants and the jungles itself. Napalm also caused damage to the skin and it burned many innocent people during the war.